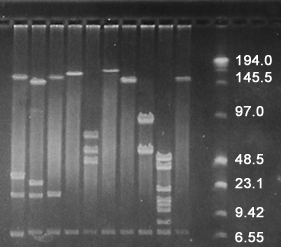 HMW DNA isolation and QC by HMW DNA enzymatic digestion are included. Table 1: A few libraries constructed in the past with obtained average insert sizes. 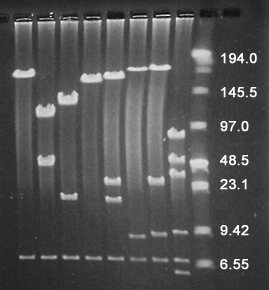 Figure 2: PFG following NotI digestion of fungal BAC clones P. omnivora) with an average insert size of 185Kb. 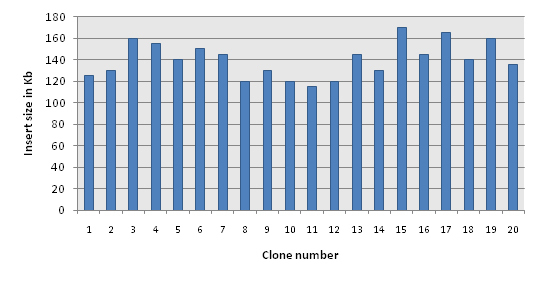 Graph 1: BAC clone insert size distribution (average of 140Kb) of a Soybean BAC library (Glycine max).